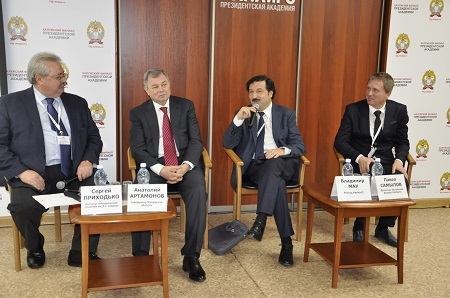 The Gaidar Readings – The Experience of Domestic Market-Oriented Regional Development: Advantages and Disadvantage – sponsored by the Gaidar Institute, the Gaidar Fund and the RANEPA’s Kaluga Branch under the auspices of the Government of the Kaluga Region were held in Kaluga on 5 December. The opening address was delivered by Anatoly Artamonov, Governor of the Kaluga Region and Vladimir Mau, Rector of the RANEPA. The moderator of the first plenary session was Sergei Prikhodko, Executive Director of the Gaidar Institute. At the session, Sergei Drobyshevsky, Academic Director of the Gaidar Institute delivered the report: Economic Growth Factors in the RF at the Current Stage and Challenges of the Economic Policy. Andrei Kaukin, Head of the Department of Sectorial Markets and Infrastructure of the Center for Real Sector of the Gaidar Institute spoke about economic development of the Kaluga Region, as well as intermediate results and prospects of sustained growth. According to Andrei Kaukin, the Kaluga Region is one of the most economically developed constituent entities of the Russian Federation. The Kaluga Region has been for several years running the leader as regards industrial growth rates (a 20% growth on average from 2010 till 2013); in the 2010-2014 period the highest volumes of per capita investments in Russia in general, as well as growth rates of households’ real income and the extent of implementation of technologies were observed. Analysis of economic growth dynamics, individual industries’ output volumes and inter-industry effects showed that the main growth drivers of the region were the motor industry, the electrical industry and the pharmaceutical industry on which the region’s strategy of development was based on. In priority sectors of the economy, key obstacles on the way of development were removed and high consumer demand was met. That situation produced a favorable overall effect on the entire economy of the region. However, following the nationwide dynamics growth rates of the region’s key social and economic indicators start to decline from the end of 2014. The industry analysis of development shows that the main factor behind slowdown was not only unfavorable market situation which virtually brought to a halt development in the region’s leader industries, but also structural factors which hindered the region’s development. Due to the above situation, new challenges faced by the region’s economy become more acute: it is necessary to integrate the economy more actively into the global economy with greater emphasis to be made on exports of products abroad, including far abroad countries (diversification of sales markets), retain the existing human capital, promote aggregate efficiency with gradual attainment of the leading positions in key sectors on regional international markets, as well as reduce step by step business related costs, both administrative and infrastructural. 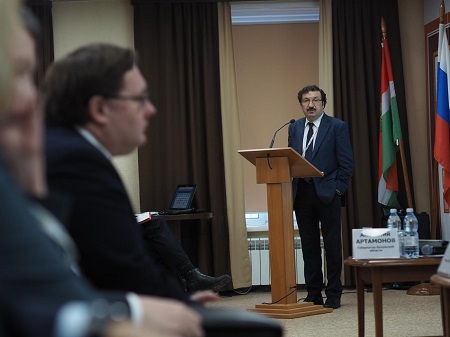 Аlexander Deryugin, Researcher of the Budget Policy Department of the Gaidar Institute spoke about evaluation of the budget effect from implementation of economic development measures in the Kaluga Region. 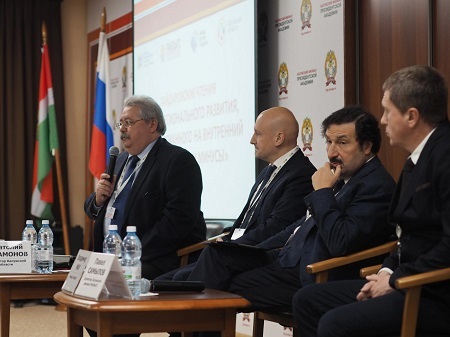 The moderator of the second plenary session was Vitaly Eremeyev, Head of the Representative Office of the Strategic Initiative Agency in the Central Federal District. At the session, reports were delivered by Yakov Urinson, Member of the Board of the Yegor Gaidar Fund and Former Minister of Economy in 1997-1998 and Мikhail Plyukhin, Advisor to the Rector of the RANEPA. 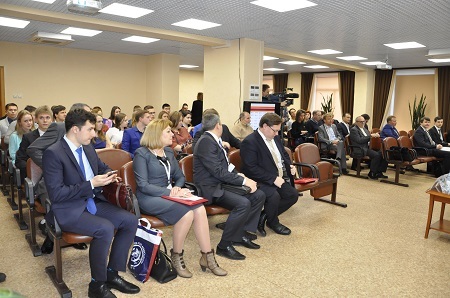 Violetta Komissarova , President of the Chamber of Commerce and Industry of the Kaluga Region elaborated on organization of networking between business and federal and regional institutes for development. Аlexander Gorbatov, Head of the Economic Security Department of the RANEPA’s Kaluga Branch touched upon development of the agricultural sector in Russia’s food security system. © 1991-2019 Gaidar Institute for Economic Policy (The Gaidar Institute). All rights reserved..